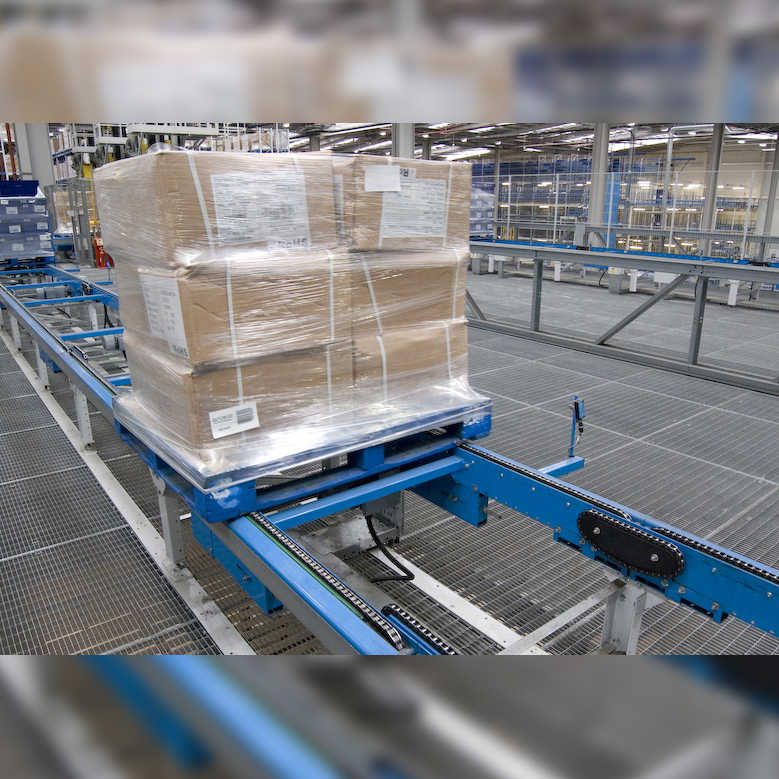 Automated floor conveyor systems are extensively used in warehouses, distribution centres, parcel sorting depots, and all kinds of factory environments; anywhere where unit loads need to be moved. 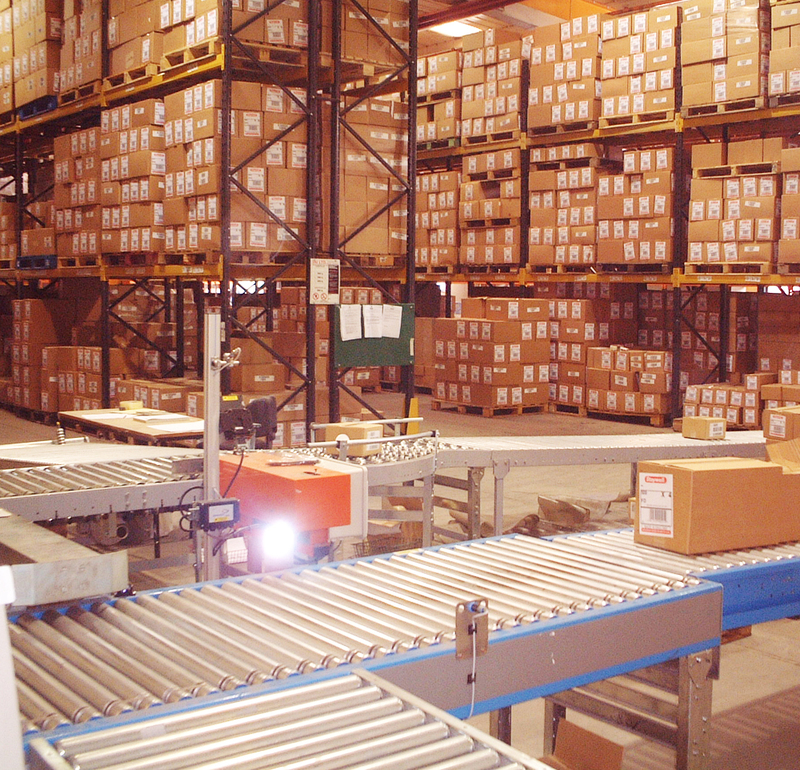 Amber Automation is the division of Amber Industries Ltd. which specialises in automated floor conveyor systems. 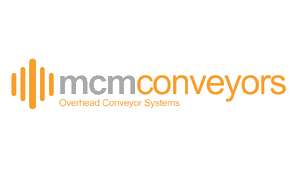 Our aim is to supply floor conveyor systems precisely tailored to our client’s present and future business needs. 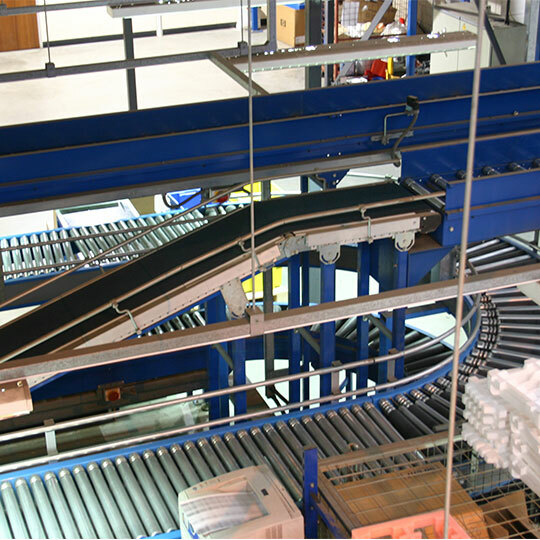 Automated floor conveyor systems can range from simple manually operated single function conveyors to complex fully automated systems which may in turn be integrated with other equipment to form a completely automated production line, e.g. check weighers, filling machines, packaging machines, shrink wrappers, case erectors and sealers, palletisers and robots etc. 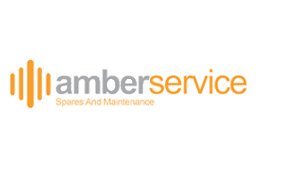 Our highly experienced team at Amber Automation will work closely with our client’s to gain an in-depth understanding of their business needs before developing and presenting a conceptual solution which will deliver a quick payback and strong ROI. 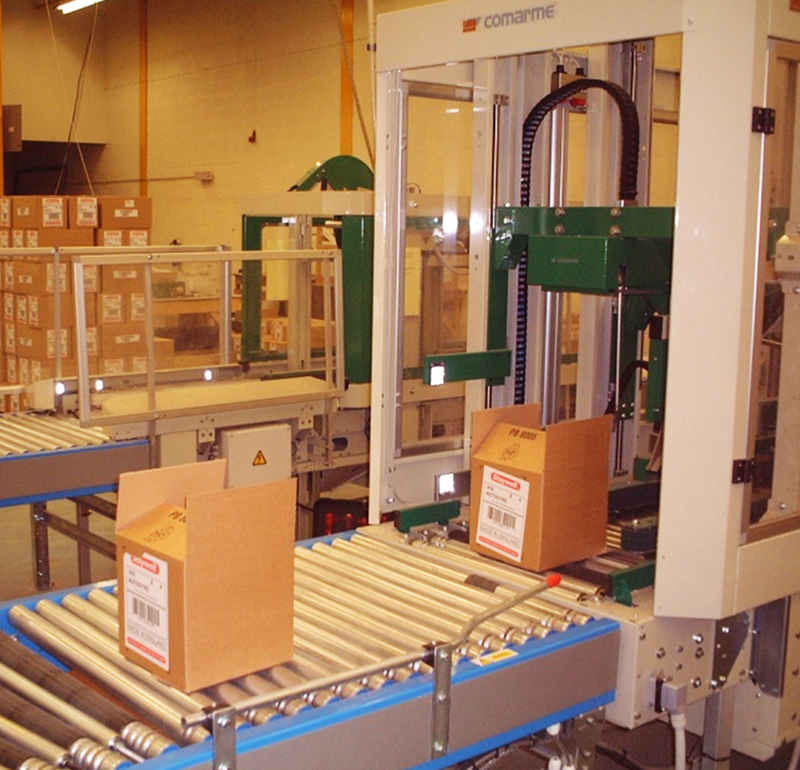 Automated floor conveyor systems can be made up of several different types of conveyor, e.g. 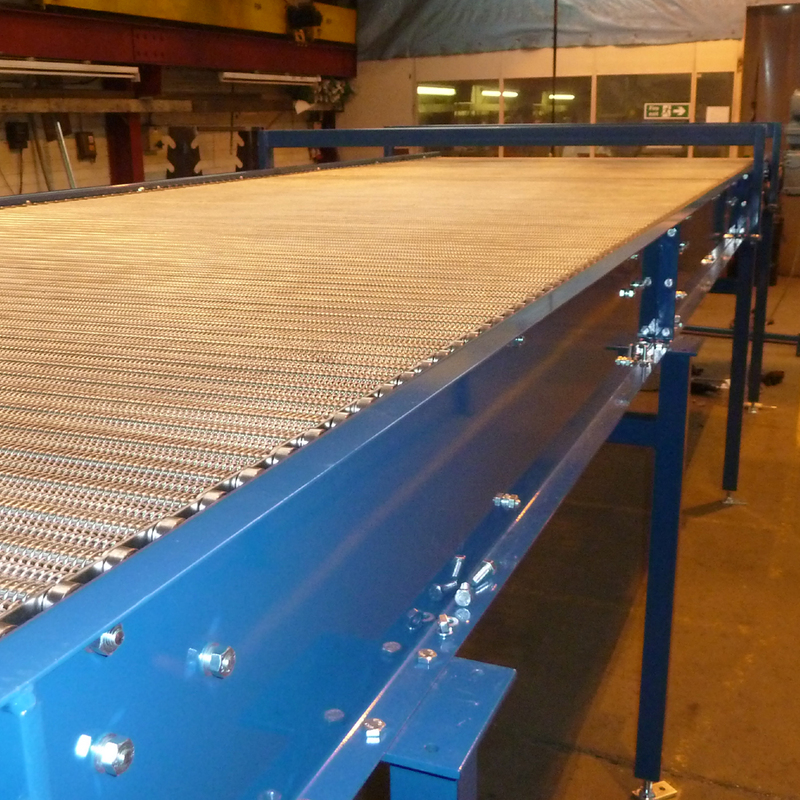 roller conveyors, belt conveyors, chain conveyors plus a whole range of ancillary equipment necessary to make the system perform as required. 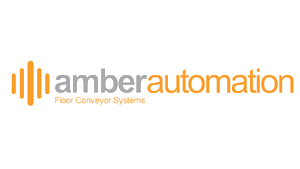 Amber Automation is able to supply a wide range of standard and bespoke floor conveyor and ancillary equipment, most of which it manufactures in- house. This offers the real benefits of top quality equipment at competitive prices and available on relatively short delivery times. 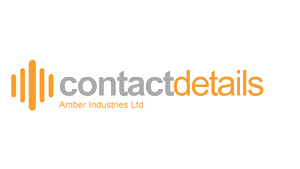 Where necessary our own equipment is supplemented by that of other specialist suppliers so that we can deliver a complete turnkey materials handling system. 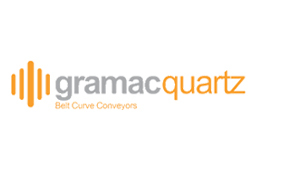 Lineshaft, Zero Line Pressure(ZLP) motorised roller, chain driven roller and non-driven (gravity} roller conveyors are used for transporting suitably sized and shaped unit loads and also for controlling the flow of product through the system by holding in-line and separating, i.e. accumulating the unit loads in readiness for release at controlled rates to specific down-stream work stations. 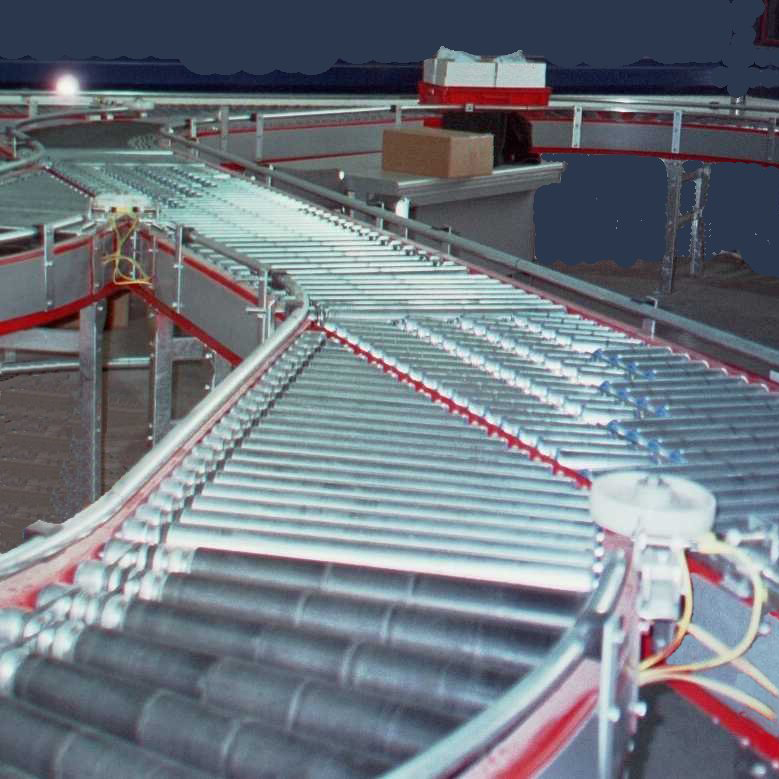 Amber Automation manufactures its own powered roller and chain conveyors designed to move large or heavy product loads such as pallets, drums, shipping crates etc., weighing up to 1500Kg. 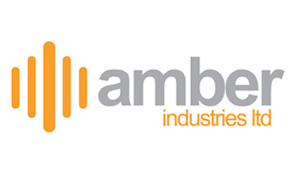 A full complement of ancillary equipment including chain transfers, lifts, turntables, shuttle cars, twin roller track etc., enables Amber Automation to supply complete systems. Used for raising and lowering products as they transit around a floor conveyor system there are several types of elevator /lowerator such as reciprocating, continuous platform, S-curve and spiral belt. 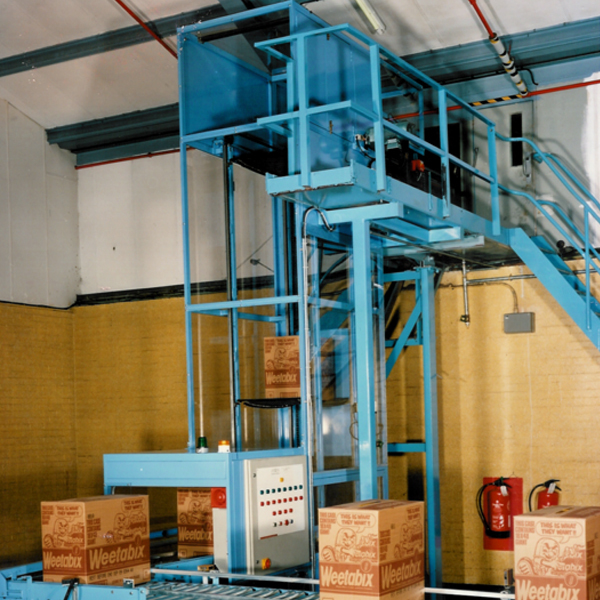 Amber Automation’s elevators and lowerators are a very efficient way raising or lowering products when floor space is restricted. These categories of conveyors each have features inherent in the belt composition that makes them suitable for particular applications. For instance wire mesh belts allow air to circulate around products to heat /cool them. 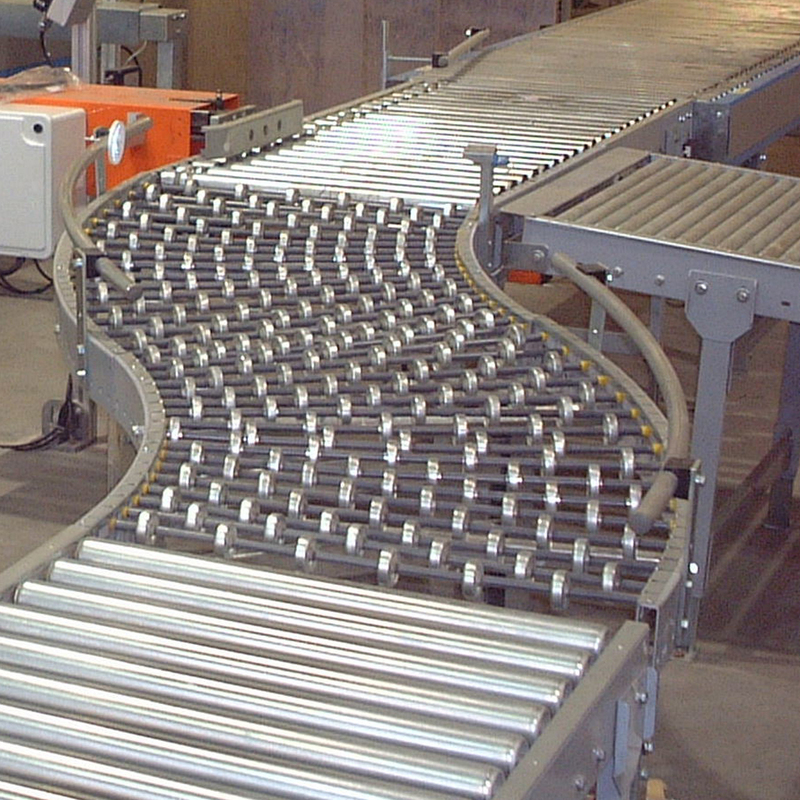 Whatever the application Amber Automation has the capability and experience to design, manufacture and install these floor conveyor types. 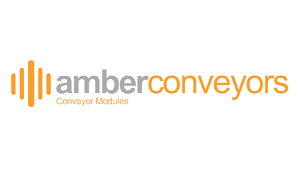 In order to be able to offer turnkey floor conveyor systems Amber Automation has within its product portfolio a selection of bespoke ancillary equipment. 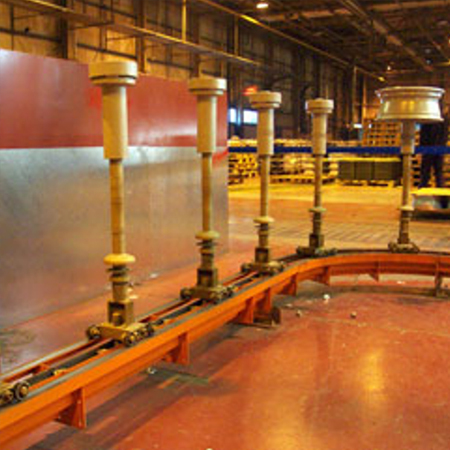 This includes turntables, skate-wheel and roller ball conveyors, spiral gravity towers (roller & skate-wheel), lift tables and work stations. Amber Automation is able to customise the design of these pieces to suit our client’s building layout and then manufacture them in our 2000 sq metre factory. 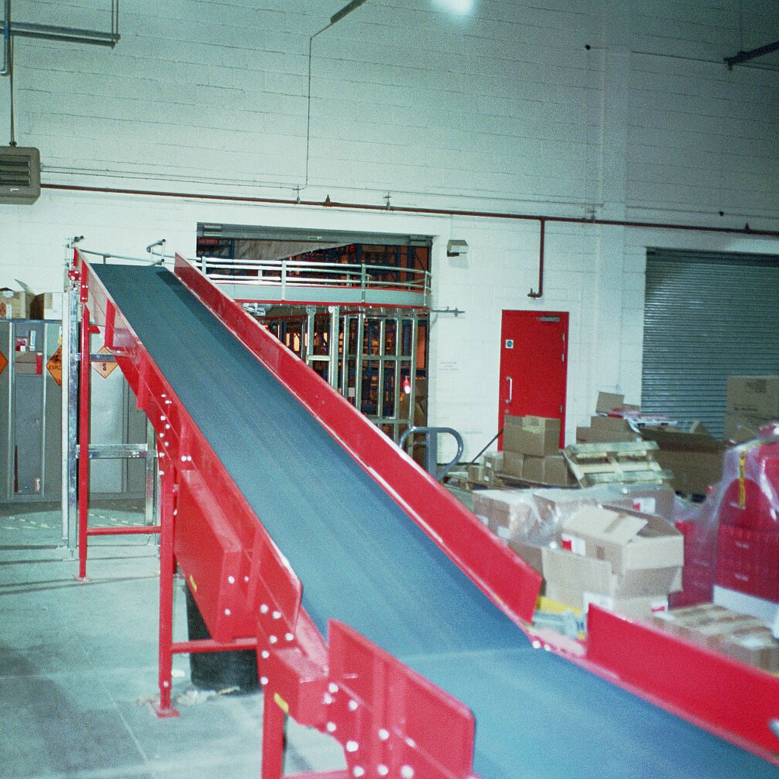 How effectively a floor conveyor system performs its function depends as much on its control systems as on the mechanical hardware. 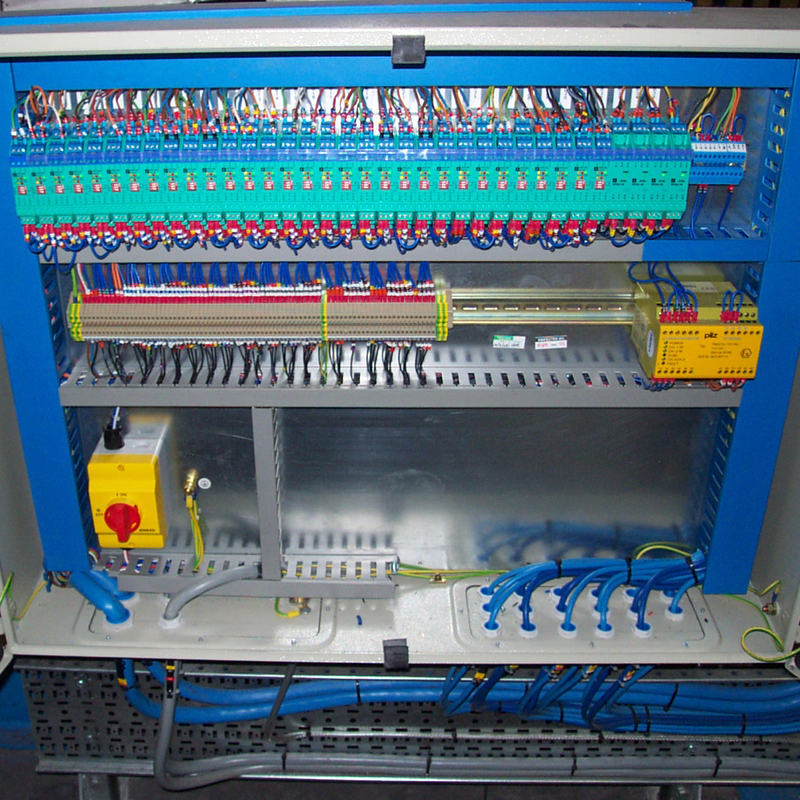 From simple stop/start switches to complex PLC based multi-faceted automated systems Amber Automation’s in-house team of control systems engineers, working closely with our mechanical engineers, design control systems to optimise the performance of the hardware.